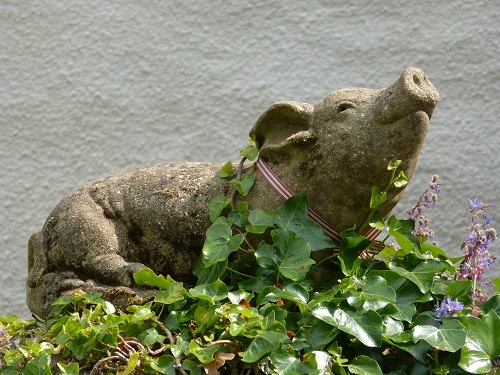 This beautiful pig statue (with a brand new red ribbon) was watching the front of a cottage along the rising road from the pier to Dittisham town center. He was just a few doors up from the FBI tavern so he might be a bit tipsy. 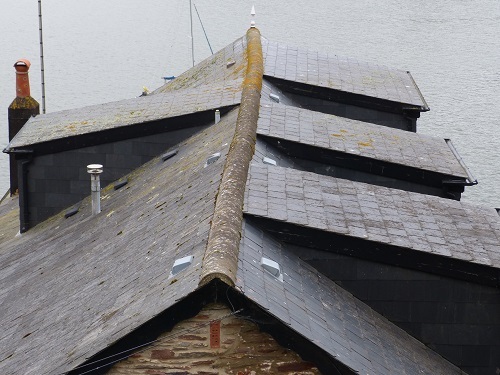 A slate roof top on a Dart-side house along the road to Dartmouth Castle. Next door young men were repairing a similar roof when they weren't watching football or chinning themselves on the scaffold poles. 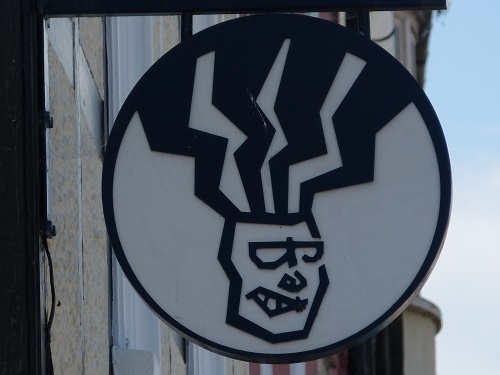 There is a lot of wet weather in England and in Totnes frizzy hair is definitely "in". 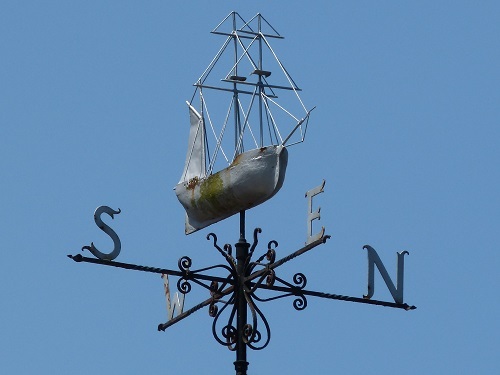 One little sail is enough to compass the wind in Totnes England. 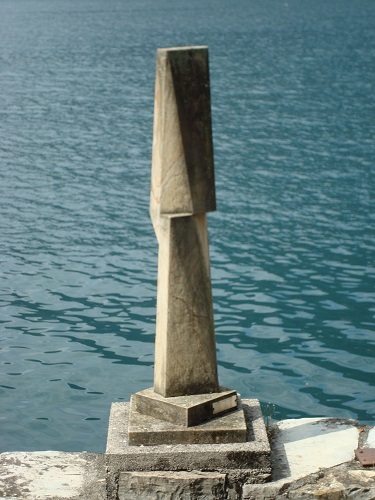 A statue along Lake Como. 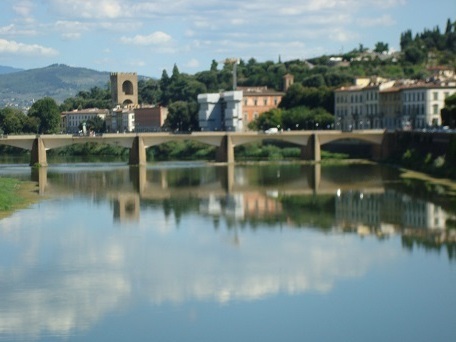 I liked this reflection more than the Ponte Vichio from whence it was shot. 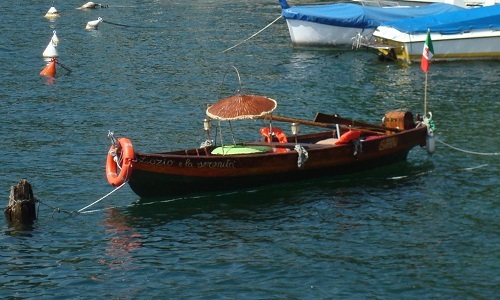 I liked this little boat on Lake Como with a parasol. 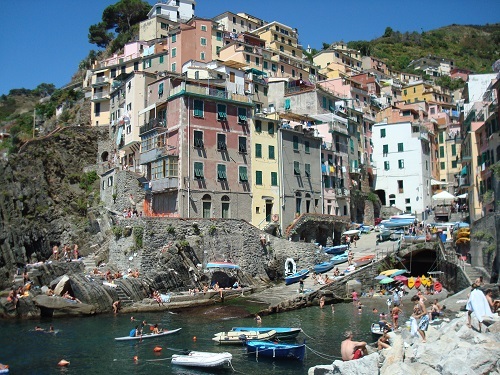 We took a train to Cinqe Terre and walked to this beautiful town of Riomaggiore. 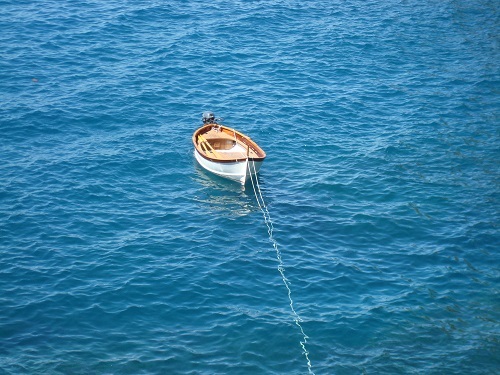 This boat was tied off outside of the town and look how clear is the Mediterranean water. "There is an elephant whose paintings sell for thousands of dollars (but he still works for peanuts)."